[SatNews] These characteristics make the sensor the ideal solution to meet the rapid demand in E-band telecommunication applications. 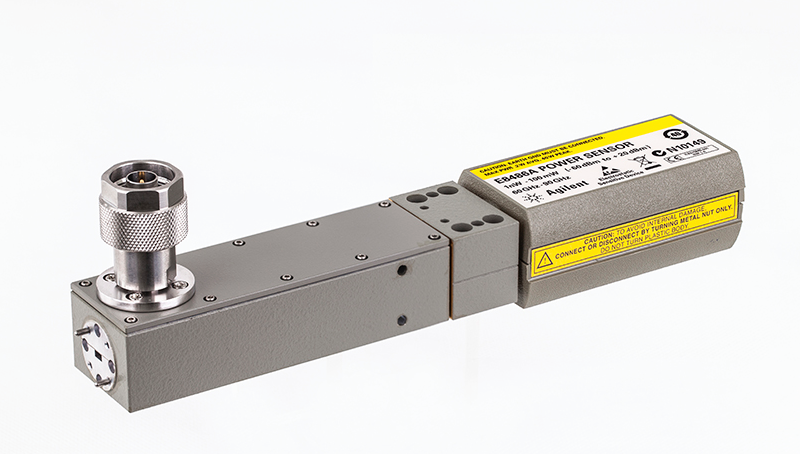 Agilent Technologies Inc. (NYSE: A) announced the E8486A waveguide power sensor that is designed with a WR-12 flange connector, the E8486A makes precise and accurate power measurements in the E-band spectrum of 60 to 90 GHz. These characteristics make the sensor the ideal solution to meet the rapid demand in E-band telecommunication applications. The E8486A waveguide power sensor comes with a WR-12 flange connector, making it ideal for precise and accurate E-band communication applications. The E8486A comes with an 80 dB dynamic range option, allowing the sensor to measure from -60 dBm to +20 dBm instead of the standard -30 dBm to +20 dBm range. With the expanded dynamic range, the E8486 continues to be highly accurate even when measuring low-level signals, making it possible to measure power at the receiver side of point-to-point transceiver modules in addition to the module’s output power. Like all Agilent waveguide power sensors, the E8486A offers high reliability and low loss. For easy calibration, the E8486A incorporates a 50 MHz calibration port to eliminate the uncertainties due to temperature changes and the variance in making measurements with different meter and sensor combinations. The E8486A also offers excellent SWR of 1.06, minimizing any measurement uncertainty caused by sensor and source mismatch for greater accuracy. Information on the E8486A is available at.